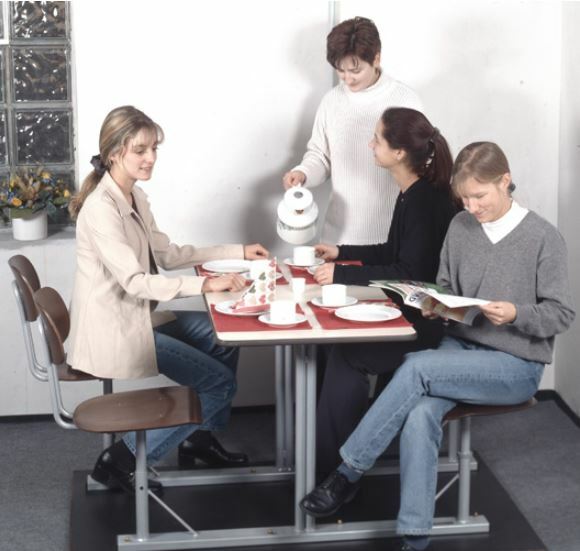 Static table-chair units can be used in workshops, canteens and break rooms. 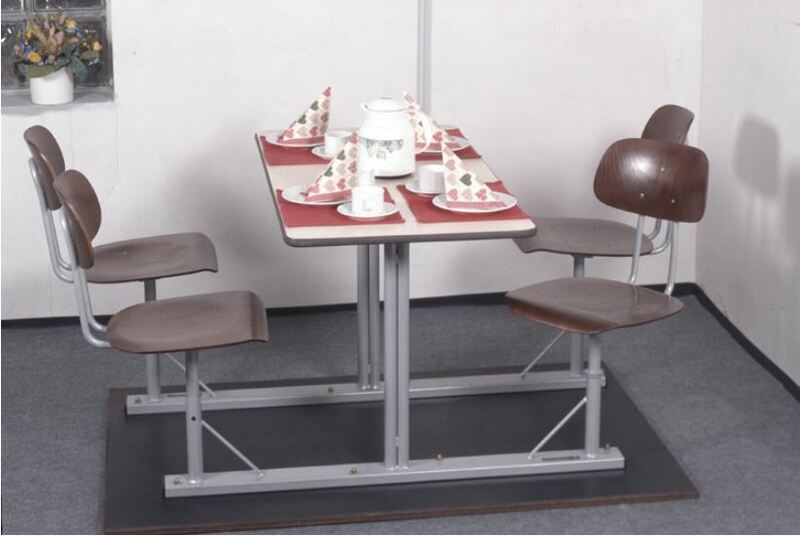 We worked closely with qualified specialists on the construction of the table-chair units and the selection of materials. Construction: securely welded steel tube construction with floor supports made of rectangular tubing (no dirt or tipping traps). Frame and seat can be replaced, backrest spacing 162 or 182 cm. Seats and backrests are firmly riveted with the tubular design. The table tops are screwed to the frames with U-profiles. All steel parts can be powder coated in the following colours on request: RAL 7016 anthracite grey, RAL 9006 white aluminium (silver) and RAL 8014 sepia brown. Available in other contemporary colours on request. 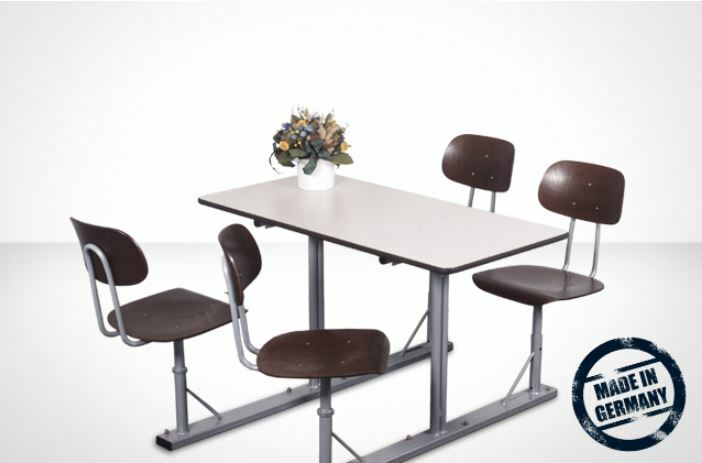 Table tops made of sturdy, plastic-laminated chipboard, grey, beige or in contemporary on request, 19 mm thick with soft PVC edge, table height 74 cm, size 120 x 60 (4 people) or 180 x 60 cm (6 people). Seats and backrests made of shaped laminated wood, lasered and lacquered in a natural or mahagony colour, securely riveted with the tubular construction. The seats with supports are static or revolving. Assembly: screw frame into the floor (on site).